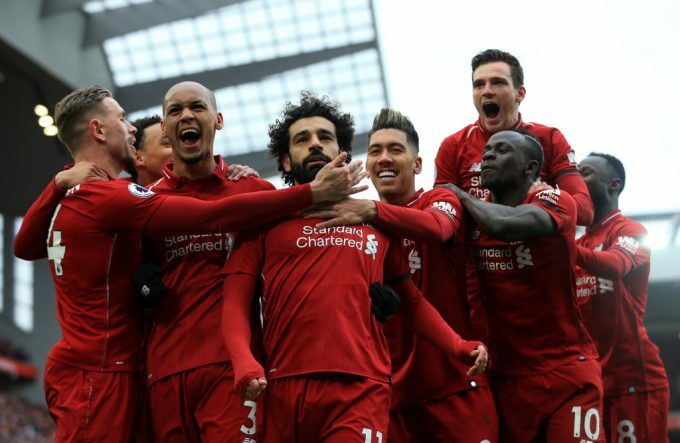 Liverpool left back Andrew Robertson has expressed his amusement from Mohamed Salah’s scorcher in their big clash against Chelsea in the 34th round of the Premier League. Salah scored a stunning goal as Liverpool beat Chelsea 2-0 at Anfield to return top of the Premier League table. With this goal, the Egypt international has now scored 19 goals in the Premier League and is currently the league top scorer alongside Man City’s Sergio Aguero. A footage emerged on Thursday morning of travelling Chelsea fans ahead of their Europa League tie against Slavia Praha, appeared to have been filmed by themselves, singing discriminatory chants in which they describe Salah as a “bomber”. The disgraceful act was denounced through a statement by the Blues, who later on took action against the fans involved. “It was an unbelievable goal. He cut inside and he fancied his chances. As soon as he hit it I think everyone knew that it was in,” Robertson said.